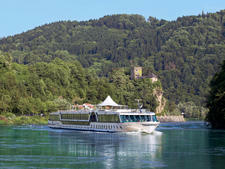 Austrian-based Amadeus River Cruises' Amadeus Silver was launched in April 2015. 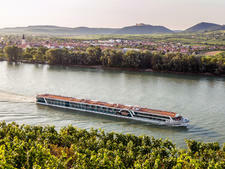 The sister vessel Amadeus Silver, built in 2013 and named the "River Boat of the Year" by the German Kreuzfahrt cruise guide, served as the blueprint for the vessel. Amadeus Silver III joined Silver and Silver II in 2016. At 443 feet, the Silver vessels are the largest in the fleet, and Amadeus Silver II includes both familiar and new concepts. The number of cabins has been reduced from 90 to 84 to provide more space in public areas and larger staterooms, measuring 188 square feet, on the middle and upper Strauss and Mozart Decks. These cabins all have drop-down windows that create the feel of a balcony. Cabins on the lower Haydn Deck are 172 square feet with fixed windows. 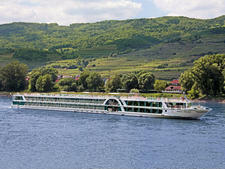 On the top Mozart Deck, there are 12 suites, measuring 284 square feet, which have a walkout balcony and larger bathroom. All cabins have a choice of double or single bed configuration. Cafe Vienna, based on a classic Viennese coffee house, and the outdoor glass-screened River Terrace, situated at the front of the ship, are popular features on Amadeus Silver and have been replicated on Silver II. The cafe serves a variety of speciality coffees for an additional fee. Other public areas include the quiet Amadeus Club, at the rear of the vessel, which includes indoor and outdoor seating, a small library, games and two computers. Other onboard facilities include a sun deck with an al fresco bar, shuffleboard and giant chess set. There is a fitness room and small hair salon. A lift connects the three passengers decks. The Panorama Restaurant is the main dining room for buffet-style breakfast that also has a menu of served dishes; served lunch with a buffet salad bar; and a five-course evening dinner. Passengers can expect Austrian and regional dishes, alongside familiar favorites and vegetarian options. A lighter lunch alternative is served in the lounge. Wine, beer and soft drinks are included with lunch and dinner. There is a 24-hour complimentary tea and coffee station. 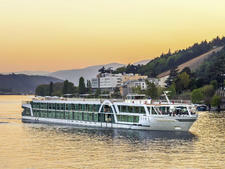 Afternoon tea is served daily, and Amadeus is one of few river cruise lines to offer the ocean cruising institution of the midnight snack. 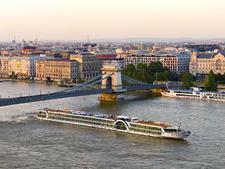 Amadeus offers an extensive choice of excursions. These are not included in the cruise fare, providing passengers with the option to simply relax, do their own thing or go on guided tours. 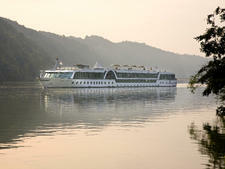 Guests can book one of three excursion programs in advance at a preferential rate. These range from a package for those who want to see a few selected highlights to up to two excursions per day. 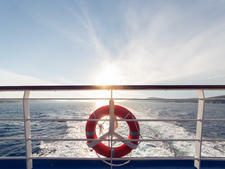 Individual tours can also be booked during the cruise at the standard price. Independent travelers can explore by themselves with the help of the onboard concierge service, and Amadeus Silver II has complimentary bikes. Onboard entertainment includes cultural lectures, cooking demonstrations, a resident musician and visits by local singers, dancers and musicians. 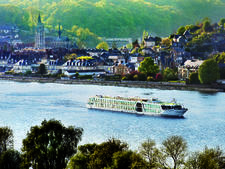 Eco-minded passengers will be interested to know that Amadeus is the only river cruise line in Europe to hold the "Green Globe" certification for sustainable travel. The award requires companies to demonstrate energy and water-saving measures, plus ecological awareness in everyday routines. 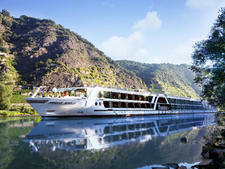 Amadeus Silver II sails on the Rhine and Danube.